So Kasper or Not ? Fr Raymond De Souza asks the question in the Catholic Herald to which all Catholics would like an answer, despite the unfortunate fact that Pope Francis, not a week into his pontificate, delivered the answer when he recommended Cardinal Kasper’s book, entitled ‘Mercy’, to the Faithful gathered in St Peter’s Square. Similarly, if I I told you to read ‘The Communist Manifesto’ because that book has ‘done me a lot of good’, you might just think I was, in fact, a communist or some kind of Marxist. You might think these are terrible comparisons but, in both of these cases, if I do not follow this ‘recommendation’ of toxic books with some kind of caveat by way of saying, ‘…because I realised just how erroneous and mistaken the author was/is,’ then you can pretty much guarantee that I agree with the contents. For many it is fear and for many it is love that motivates an abundence of Vatican watchers who seem to be in denial as to our reality, to the point that despite the fact that in his first week as Supreme Pontiff, Pope Francis recommended the Kasper agenda as reading material for the Faithful, many cling onto the hope that Pope Francis, somehow, does not personally back the Kasper proposal, even though it contains such profoundly poisonous errors concerning the inseperable teachings and disciplines of the Church that such willful ambiguities and glaring errors make it ideal material for the fireplaces of that same Faithful. The loyal Faithful, that is, those loyal to the Lord Jesus Christ and to His Vicar on Earth, have gathered over half a million signatures to Pope Francis to ‘clarify’, to make plain His Holiness’s position on such matters as divorce, remarriage and the reception of Holy Communion, as well as the other ‘thorny’ issues to be debated in a spirit of parrhesia at the Synod in October. As time goes by, and as we approach with not a small degree of trepidation the great ‘debate’ within the Church in October, are Catholics to pretend to ourselves and, in defiance of the known reality, to others, that the Pope is somehow secretly against the position of Cardinal Kasper and on the side of the Magisterium of the Holy Catholic Church as well as that of his venerable predecessors, despite no such clarification being forthcoming? Are we to assume this in good – or rather blind faith – when instead of the clarification sought by the deeply confused Catholics in question, such recent unhelpful and utterly confusing teachings, such as ‘the divorced and remarried are not excommunicated’ appear to nudge the Church a little further towards an endorsement of the Kasper proposal? I would have thought that even if the divorced and remarried are not formally, canonically, publicly ‘excommunicated’, some kind of term such as ‘excommunicated’ might just be applicable – in some manner – to those who, because of an irregular marital situation that involves the sin of sustained and continuing adultery, can neither receive Absolution, nor receive Our Blessed Lord in the Most Holy Sacrament of the Altar, and as such are unable to communicate. To loyal Catholics, Pope Francis has, consistently behaved like a fiance who can’t quite bring himself to tell his bride to be that he doesn’t love her, doesn’t like her, never really did, but keeps dropping huge hints every week that he has no intention of marrying her whatsoever. Pray for His Holiness, but accept it. He’s just not into you and your beliefs. He’s into something else entirely. That doesn’t mean we stop praying for him or loving him as Our Lord has taught us. Of course, if Pope Francis caps off a glorious Synod by donning the Tiara and publicly excommunicating all those who argued against the Infallible Teaching of Christ and His Bride, the Church, I apologise profusely in advance and take most of it all back, but I cannot be blamed for thinking – nor for being honest and saying – that in a little over two years, Pope Francis has, with a little help from his friends, taken the Church to the precipice and looks not a little bit afraid of the craggy rocks and rushing waters below. Given his public statements and his refusal to unendorse Cardinal Kasper and his proposal, we should by now be no longer at all surprised if he takes the Church over the edge. Unless something completely unexpected occurs, we can be forgiven for thinking quite sensibly that not clarifying, nor ceasing to promote Cardinal Kasper’s agenda within the Church is, in fact, a clarification. It’s just not the clarification you were looking for. According to recent reports, we can be sure, 100% certain in fact, that eleven Cardinals definitely oppose Cardinal Kasper and have, in defence of the Truth, written a book detailing exactly why they have written against his proposal. You are worried. They are equally worried but not, it seems, His Holiness. According to exactly zero news reports can we ascertain that the Pope, the Supreme Pontiff, Successor of St Peter and Guardian of the Deposit of Faith shares their concerns. That is how serious this crisis is. Our survey found that out of 219 Cardinals in all the world, only one believed that Pope St Pius X would recommd Kapsper’s book entitled, ‘Mercy’. The name of that Cardinal was Cardinal Wal…Oh, sorry, that information is confidential! A demoralised clergy, laity and more than a handful of Bishops and Cardinals still hope – against all the evidence – that the Pope is going to protect the Deposit of Faith and teach that saving Faith at the Synod when for two years he has not done so through public statements, interviews, appointments, and by organising and overseeing this farcical Synod showdown in the first place, a showdown that weakens the Pope’s most loyal natural supporters and strengthens those who seek the end of the Catholic Church as founded by Christ. For if Cardinal Kasper and his friends get their way, the Church will not be One, but many national Churches, it will not be Holy, but will endorse sacrilege and all that is unholy, nor will it be Catholic. Will it, in the prospect of such a radical reversal of the Church’s understanding of Herself, in such circumstances, be Apostolic? Would it not rather be anti-Apostolic? We have to accept that, somehow, since the abdication of Pope Benedict XVI, the Good News of Jesus Christ has become bad news and the bad news of Cardinal Walter Kasper has become good news. What that means for Catholics who cling to Jesus Christ and His Teachings in the midst of this madness I have no idea, but it is now far more unthinkable that Pope Francis will publicly and forcefully reject Cardinal Kasper’s proposal than it is that he will, in some manner, legislate it into the life of the Church. The last two years have shown us that if – and it remains a big ‘if’ – Pope Francis throws the Kasper doctrine into the blazing fire at the end of the Synod it will be in spite of, not because of, Pope Francis’s best efforts. What Pope St Pius X makes of the present crisis in the Church, only God, Pope St Pius X and the entire Court of Heaven know. Pope St Pius X, ora pro nobis! My Comment : So back online and for the final battle and as on my last blog, I will chose some articles from different Authors sent to me or that I read myself online, let me start with this new article, in my opinion very interesting based on facts as often with this Author. These articles will not always represent my view, so when it will be the case, I will explain why, regarding this one, unfortunately I share the same concern but as the Author, I will not hesitate to apologies if my concerns were unfounded especially when it’s about the Holy Father, so I will add nothing personal, just Praying that we may be wrong and fortunately, this is of course possible. As you will see and this will be the case next to any new Article, I added Aviso News, to separate clearly Garabandal and any article not related to our Lady of Mount Carmel, so whenever you will see this signal Aviso News, you will know that the article in question is not related to Garabandal then you will be free to read it or not, this was recommended to me during my last stay in the village few weeks ago, thank you. News sensational and still not widespread. I know you are interested in Garabandal apparitions, but this news is really important and also confirms your (and my) deductions. It deserves to be mentioned. It is on the official Facebook page (in Italian) who works with the seer Pedro Regis. It only waits that the official interpretation is also adopted by the Portuguese official website, which is currently under construction. Dear children, I love you and I want you to be faithful to My Jesus. Take care of your spiritual life and don´t let material things make you stray from the way of salvation. WK: because of this many will die. Those chosen to defend the truth will deny it. I suffer because of what awaits you. That November of sorrow will be repeated. The Tejo river is beside it. A great mountain will fall to the ground. Pray. Pray. Pray. This is the message I give you in the name of the Most Holy Trinity. Thank you for permitting me to reunite you here once more. I bless you in the name of The Father, and of The Son, and of The Holy Spirit. Amen. Stay in peace. Since 2005, no one knew what it meant “WK” (it was thought an asteroid). Now we know that the “WK” indicates precisely cardinal WALTER KASPER. Now we know that the culprit is Walter Kasper !!! Anguera messages are at a turning point: they finally take sides! Pedro Regis met with Cardinal Burke in Frosinone (Italy), November 22, 2016. According to rumors, they spoke of the formal act of correction of Amoris Laetitia. The seer would have encouraged him to move forward in defending the Truth (the question of “dubia”). Pedro Regis with card. Burke. The veracity of Anguera (to be demonstrated … but at the moment is for me solid) at this point becomes crucial … because it seems that it is the first step to take sides on the front that will split the current line. Now open not obvious scenarios. According to this weekly newspaper, a leak from the last Episcopal Conference of Portugal, that took place last April, revealed that a majority of Portuguese bishops, headed by Dom Manuel Clemente, Patriarch of Lisbon, rejected Kasper’s proposal which was allegedly led by Dom António Marto, Bishop of Leiria-Fátima. It also says that it wasn’t easy as there was a deep division amongst them. The Pope’s short comment on Kasper’s heretic book has been misunderstood by the media and wrongly used by the enemies of the Church. The only thing His Holiness could possibly mean with those words – and I’m sure he knows the Catholic Doctrine better than I do – was that by reading those kasperian protestant heresies we can understand better, by opposition, the holiness of the Catholic faith. It seems like Portugal has chosen the side for “the final battle between the Lord and the kingdom of Satan” that will take place this October. This is not really a surprise is it? Thanks for this news from Portugal, as our Lady said “in Portugal the dogma of the faith will always be preserved”, Blessed is your country, keep the faith as the Triumph should be near. Always a pleasure to read you’re well informed comments – the last one being no exception. The decision by the Portuguese Hierarchy amongst others, suggests a confrontation is probably inevitable. Seems like a difficult time ahead for our faithful and beloved priests. United in the Hearts of Jesus and Mary. Of course, it’s good news for those in Portugal who still believe in the Catholic dogma, but the most important point here is the proofs of authenticity – like if we needed more – and actuality of the Fatima. That half sentence written by Lucy is the most mysterious of last century and still makes run tons of ink. The ‘etc’ is the gate to the third secret. 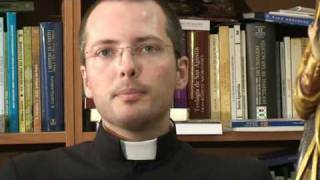 This news are not rumors, they have been confirmed by Dom Manuel Clemente himself when questioned by the Catholic Radio station. This reported fact represents also a sign of hope, as Dom Manuel Clemente was recently nominated cardinal by His Holiness Pope Francis. It’s also interesting to see, in the same newspaper, an opinion from the young Portuguese priest Duarte Sousa Lara about the Kasper’s proposals. He is an exorcist, a specialist in demonology and disciple of Father Grabriele Amorth, with whom he worked for several years in Rome. He says clearly that Kasper’s proposals are “heresies” which implies “ripping out bible pages and changing the words of Jesus”. He doesn’t believe in a possible peaceful end for the October’s Synod of bishops because, according to him, by recklessly “giving the microphone” to Kasper “a fire has been lit” that will be very difficult to extinguish, even if the Holy Father publicly rejects those heresies. What is needed is not another Synod but another Council to undo the mess left by the last one. Welcome Back John, in my opinion this Synod is the Synod indicated in Garabandal before the Warning, let see what will be the result even if some concerns are legitimate, I fear the worst but I ask to see, thanks. Notwithstanding the Synods deliberations and its outcome any hope of a new council carries with it the prospect of a valid consecration of Russia to the Immaculate Heart of Mary. The pre – requisites would be met by the assembly of the world’s bishops with the Vicar of Christ. Should Cardinal Kasper’s proposals be accepted and the clergy fragmented, the prospect of another Council increases dramatically. The reigning pontiff or his successor would be under enormous pressure to heal any open wounds. A new Council would also have the authority to address other important and far reaching moral issues as well; including the state of the Church in the World. Thanks John, IF the Kasper’s proposal be accepted, I don’t think that the Pope Emeritus will remain Silence, in my opinion he still has an important role to Play, as I said 1 single word from him and this should be enough. After this Synod, any new important meeting in Rome should be followed as any change or any update of any Catholic Church’s Dogma. I believe that he will be silent. He is just pray.